This post has 644 views. It’s been a little while since my last travel and fun post, and during that time autumn has passed by and winter has taken over. I tried to have some fun during the cool and colorful autumn season though, and here are some highlights of what I’ve been up to. Going to the mountains of West North Carolina during fall foliage season has been a tradition for me since I moved to NC. The difference this year is that I went on my own; the crew that I go with all had other things to attend to. Going by myself had its benefits though, since I can set the schedule however I want, and this year I got a lot more hiking done. My focus was on the parts of the Blue Ridge Parkway that were near Asheville. The fall foliage turned about a week later this year than the previous, so when I went the trees at lower elevations were still pretty green, but colors were medium to high near where the Parkway winds around the mountain peaks. 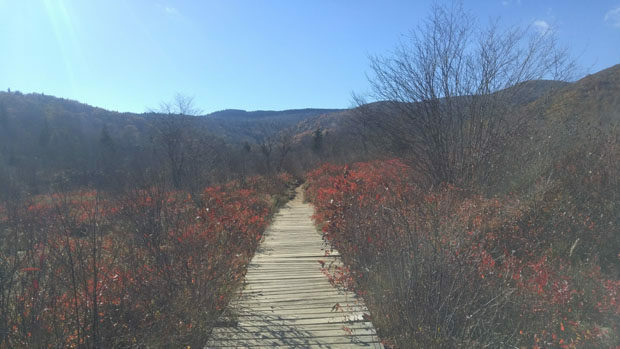 On the first day, I drove southwest of Asheville, and hiked Mount Pisgah, the Frying Pan Fire Tower, and Graveyard Fields. 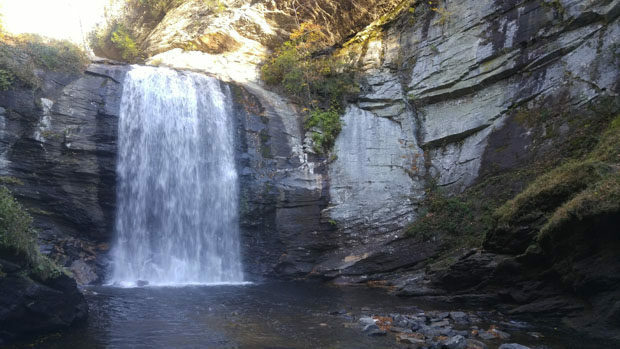 I also stopped by Looking Glass Falls on my way back to Asheville. There were plenty of people who had the same idea, especially at Graveyard Fields which is one of the most popular spots along the Parkway. It was quite cold when I started hiking, but I brought gloves and a warm hat, and I warmed up after going uphill for a while. The popular Graveyard Fields area along the Blue Ridge Parkway. Fall foliage starts here earlier than anywhere else on the mountain, and it was already past peak during my visit. The beautiful Looking Glass Falls. On Day 2, I had back on the Blue Ridge Parkway but drove to the northeast this time. 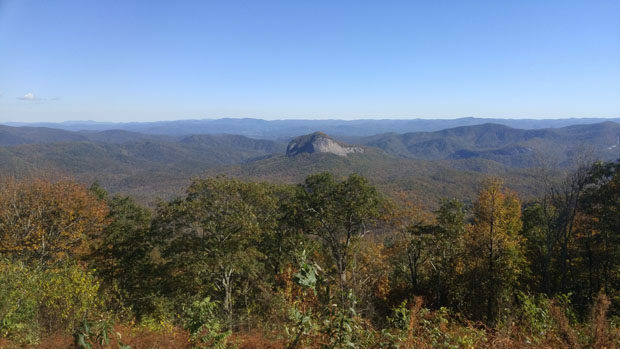 I did the short hikes at Craggy Pinnacle and the Green Knob Fire Tower. We passed the Craggy Pinnacle last year, but didn’t do the hike so it was on my list to complete this year. The red berries on the trees near the pinnacle provided an interesting view from the top. 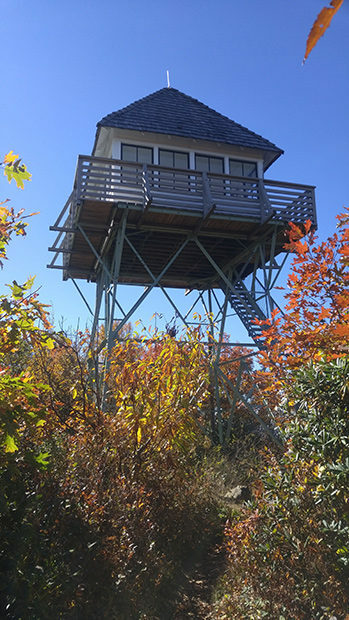 The Green Knob Fire Tower. 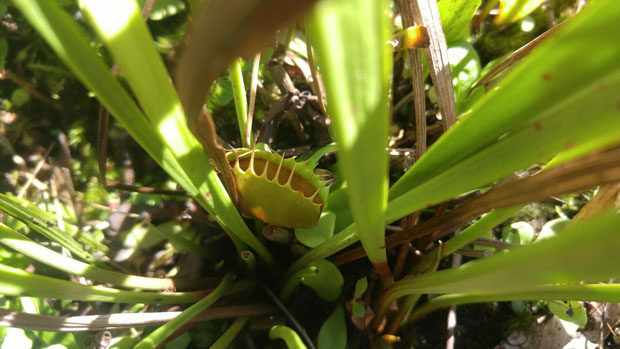 Too bad the top level wasn’t open. After stopping by the various overlooks on the Parkway, I finally ended up in Linville Falls and took the hike to two different viewpoints of the famous Linville Falls, supposedly the most photographed waterfall in the state. The hikes were not long, but they were steep and the trails were rough, so it was a little bit of challenge. Nothing I can’t handle though. Linville Falls is pretty, but I’ve seen better waterfalls elsewhere that required less effort to get to. And of course, the whole Linville Falls area had plenty of visitors on that day. 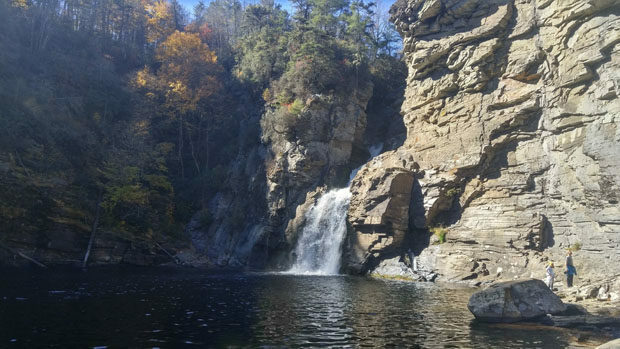 View of Linville Falls from the bottom. It was quite the trek to get down here. My last stop on this year’s fall foliage trip was Linville Caverns, a small cavern on US 221 between Linville Falls and I-40. I’ve been to other limestone caverns before, and this is definitely on the smaller side, but there are some fun spots inside the cavern. There were some crawfish in the little stream in the cave too. Apparently there used to be fish as well, but the tour guide explained that an otter got in the cave and had himself a nice meal with the fish . Linville Caverns is not something that I would make a dedicated effort to go, but it’s a nice stop since it happens to be along the way for this trip. 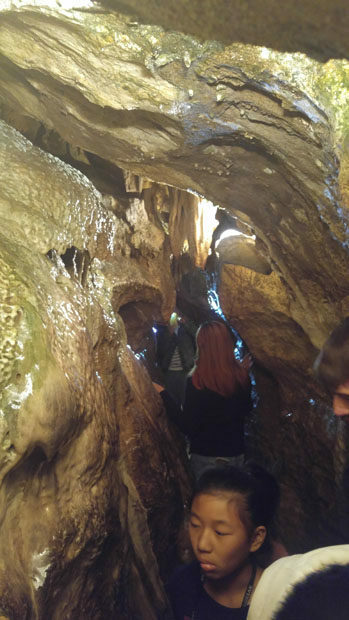 If you are claustrophobic, you probably shouldn’t be in this section of Linville Cavern. I would dare say that the South Carolina State House looks better than its North Carolina counterpart. 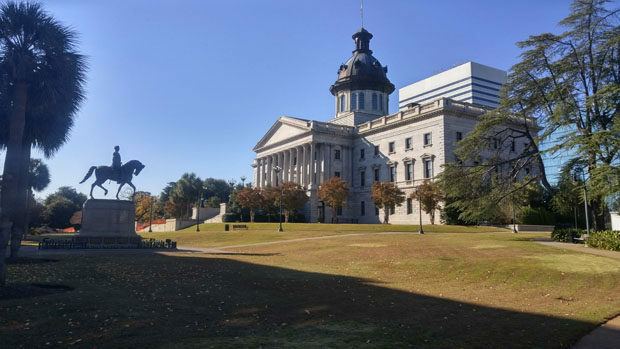 On another weekend, I drove to the city of Columbia, the state capital of South Carolina. Columbia is not a particularly well-known city outside of the region, since when most people think of South Carolina they think of Charleston or Myrtle Beach. The reason I went to Columbia is because I haven’t been there before, and there is the Congaree National Park which is close to the city. It’s also not too far away from where I live, so I went to check it out. 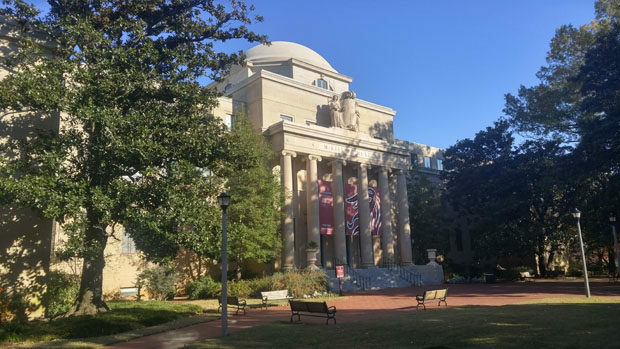 After arriving in the city, I walked around the downtown area to visit the State House, and the campus of the University of South Carolina which is located in downtown. My impressions of the city is that it is a little smaller than Raleigh, but it is still a sizable city with a couple of tall buildings and some commercial areas. The State House looked pretty nice from the outside, but too bad it was closed for tours that day. The U of South Carolina campus is nice as well. The McKissick Museum is one of the more recognizable buildings in the campus of the University of South Carolina. I also visited the State Museum which is located little outside of the downtown area closer to the river. Unlike North Carolina for which the state museums are free, there is actually an admissions fee for the SC State Museum, although it is less than $10. They had some interesting exhibits, especially the ones about how the brain makes you see things that really aren’t there, and old electronic gadgets. 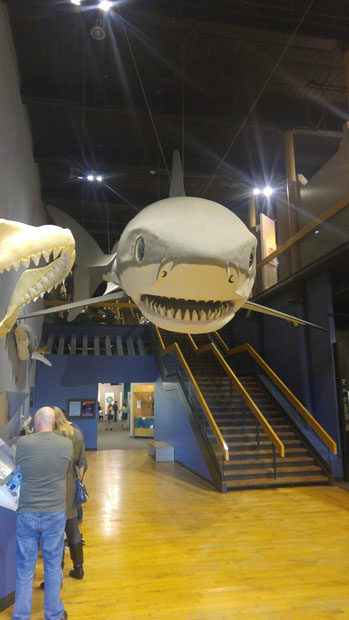 To-scale display of a megalodon shark at the South Carolina State Museum. Imagine if these things were still in the ocean these days. 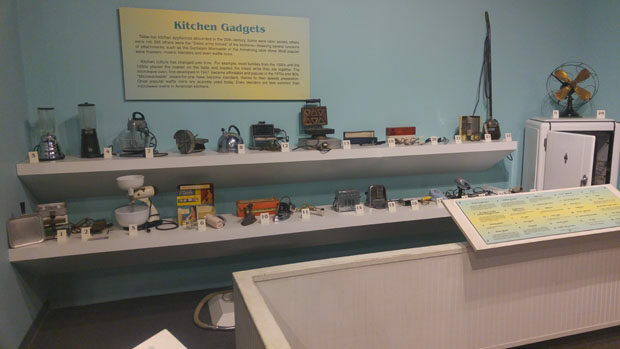 Old school kitchen gadgets throughout the years. From the museum, I then wandered to the Columbia Canal and Riverfront Park. 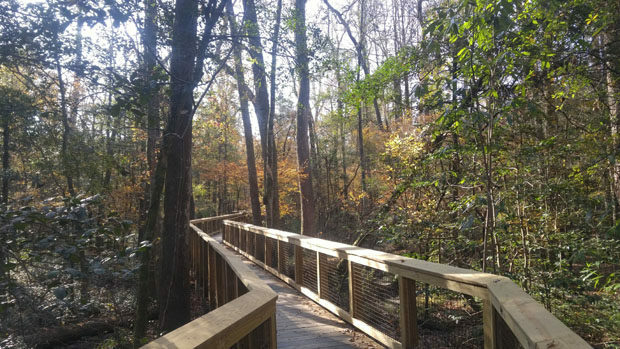 Columbia is situated next to the Congaree River, and near the downtown area they have a canal along the river to power a hydroelectric generation facility, and there is a nice paved path along the canal for people to walk and jog. It was getting dark so I didn’t make it all the way to the dam at the end of the canal, but from what I saw it was a nice place to take a peaceful stroll. 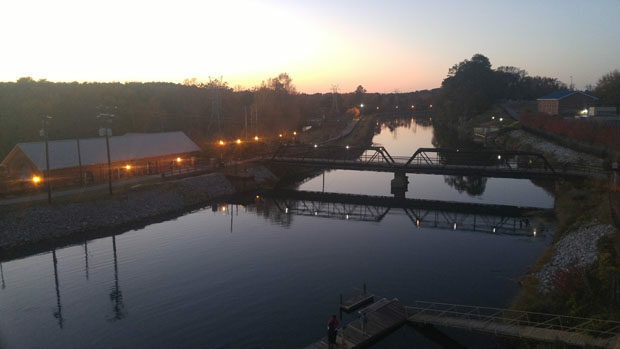 Elevated view of the Columbia Canal as the sun sets. Saw some big trees that still had some fall foliage. 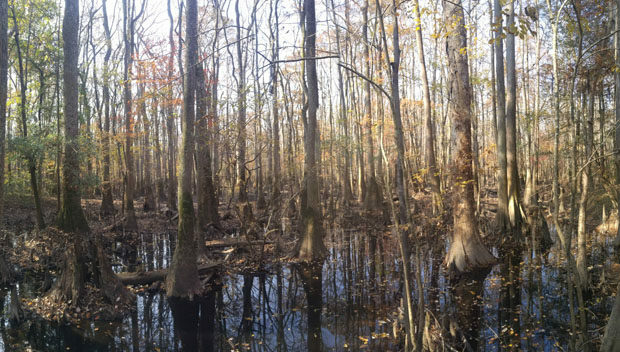 The next day, I headed 30 minutes outside of the city to Congaree National Park. 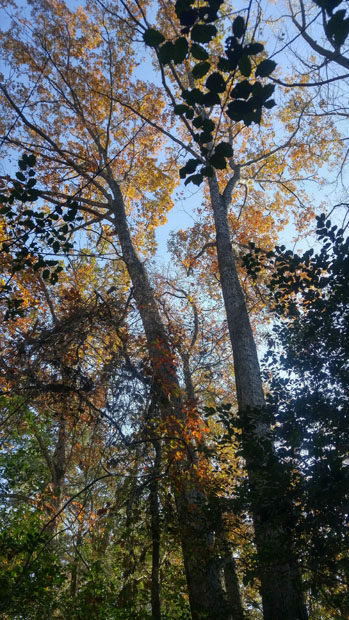 This national park protects a stretch of old-growth hardwood forests along the Congaree River, and contains some of the tallest trees in the US east of the Mississippi River. It’s not a very well-known national park, and when I arrived in the morning there were only a handful of cars in the parking lot, which meant there were hardly anybody on the trails. I hiked through the boardwalk section and the forest trail looking for the big trees. The biggest champion trees are not along the paths, but I still saw some pretty big trees. At over 100 feet tall, these are definitely the biggest trees I’ve seen in eastern US. Of course, they are not quite as big as the big trees in the west, especially the redwoods and sequoias. There were some swampy areas in the park, full of tall swamp tupelos. 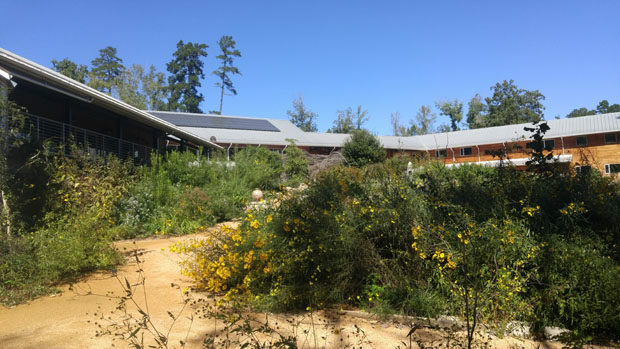 Asheville and Columbia were the two overnight trips that I took during the last two months, but I was out and about for a number of smaller local activities as well. I went to Morrow Mountain State Park early in the fall foliage season, visited the NC Botanical Garden, watched a Duke University football game, took an indoor rock climbing lesson, and went and shot some guns with friends. Below are the photo highlights. 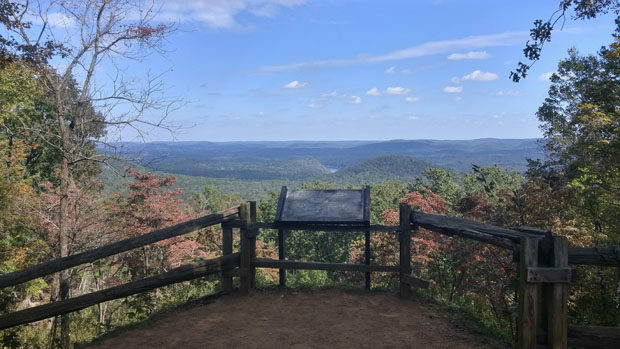 Scenic view from the top of Morrow Mountain early in the fall foliage season. 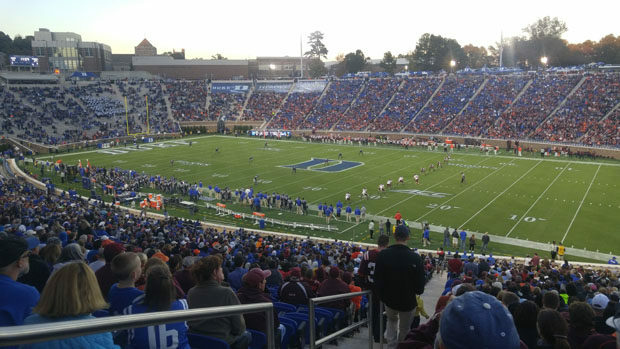 Duke Blue Devils football taking on the Virginia Tech Hokies. The home team fought valiantly but lost 21-24. 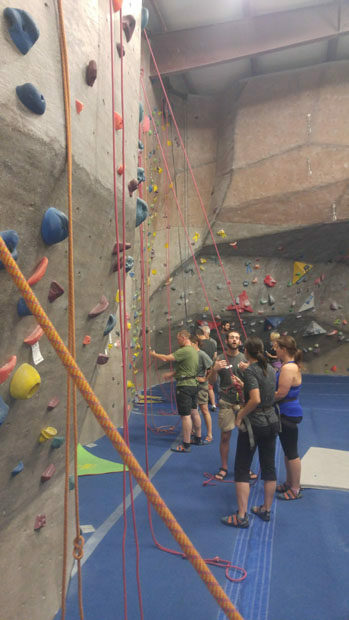 Taking an indoor rock climbing lesson. This is the first time I’ve done indoor rock climbing since elementary school. I even have a video of me shooting a semi-automatic rifle you can see below. This is the first time I’ve shot a rifle, and it definitely had some kick to it. We shot a Sig Sauer MCX (in the video) and a Ruger Mini 14 (both chambered for 5.56mm NATO cartridges), along with 9mm and .22LR handguns. It was a lot of fun. That’s all I have to share this time. December is almost half way gone and we are all counting down the days until Christmas… at least I am anyways. I wish everybody happy holidays during this festive season, and safe travels as well.